Wow! 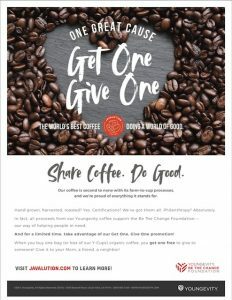 This date ended an era, thirteen years, with one company, ViaViente, and catapulted us into another world into Youngevity, an umbrella company that acquires intact companies that maintain their integrity. 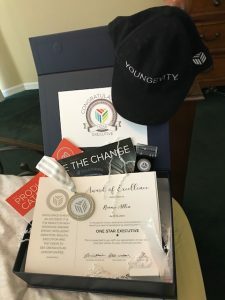 Youngevity has over thirty companies under its wings, and over 1000 products! Yes, that’s right. So going from a company with one product to a company of this magnitude that’s been in business for twenty years is quite a feat and an adjustment. Of course, we’re enjoying the change because we get to experience superior products that are scientifically created for healthy nutrition. Don’t expect to find this quality product in your local pharmacy or even in your local health food store. Our commitment to ViaViente maintains as strong as it’s always been and we’re flourishing. and purchase the coffees at WHOLESALE, right off the bat, with no one-time $25. fee for the wholesale privilege. This link is good until May 31, 2018. So do it now!! 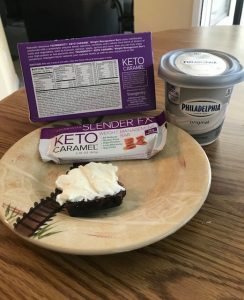 Another product that has caught our interest is the Keto bar. Since I went back on the Ketogenic diet in March, this product has helped adding a lot of nutritional value. PLUS… one half of the bar with a schmear of full-fat cream cheese, and a tall glass of iced coffee curbed my appetite for 3.5 hours. That’s a biggie since I used to graze too much. You can look up Keto bars in the search bar at http://vitalnectars.youngevity-legacy.com Call me to get the WHOLESALE prices! 352-419-5171. 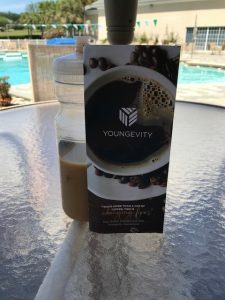 As we experience more health and wellness products from Youngevity, I’ll share the ones we’re using and like. If you want to join me in my journey, feel free to watch the videos, and live feeds on my FB pages. You’ll get education from experts. After all, why ask someone advice who hasn’t achieved what you want? My personal viewpoint is to follow the person who ‘walks the talk.’ Hope to see you on FB. http://Facebook.com/ronnie.allen.507. And http://facebook.com/centerforhealthandempowerment The operative word is EMPOWERMENT! I’ve been empowering woman since the ’90s to take control of their health on every level, spiritual, emotional, and physical. 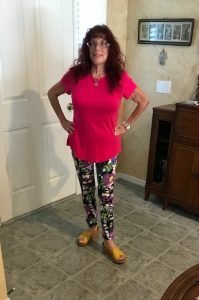 Also on my FB health page, read the section Why I Do What I do. You’ll get some insight into my ‘why.’ What’s your ‘why?’ and when will you be ready to join us?